Slate Roofing | Penn Big Bed Slate Co. 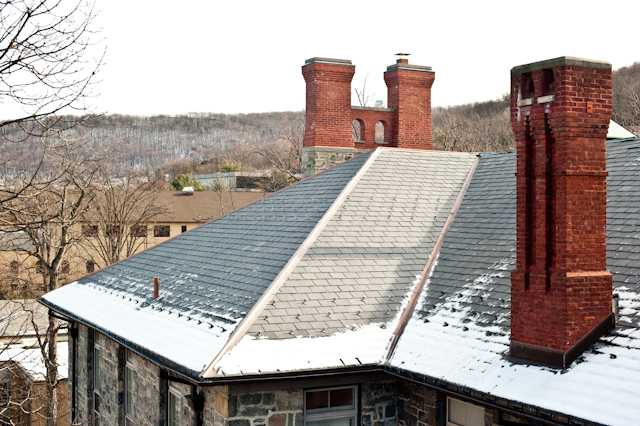 Slate is the finest roofing material you can buy, with longevity exceeding a hundred years, and unmatched beauty. A home roofed in slate is always a distinguished home, showing the pride and good taste of its owner. 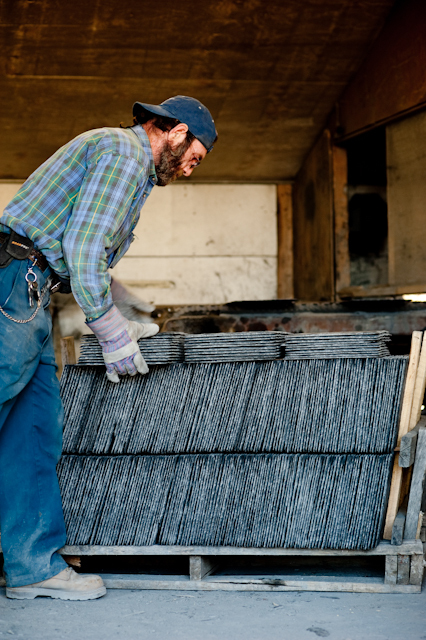 A good part of that comes from the skilled hand craftsmanship that accompanies every aspect of the production of a slate roof, from making a slate shingle, to laying the roof itself. 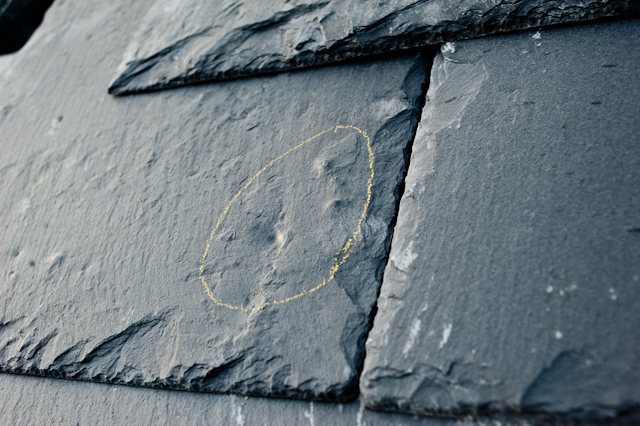 A good slate, as a shingle is called, will have knots, knurls and texture that are unique, even compared to another slate that came from the same block of stone. Just in the same way that no two leaves on a tree are exactly alike, these variations lend slate a great visual charm in our era of products in which every piece is the same. 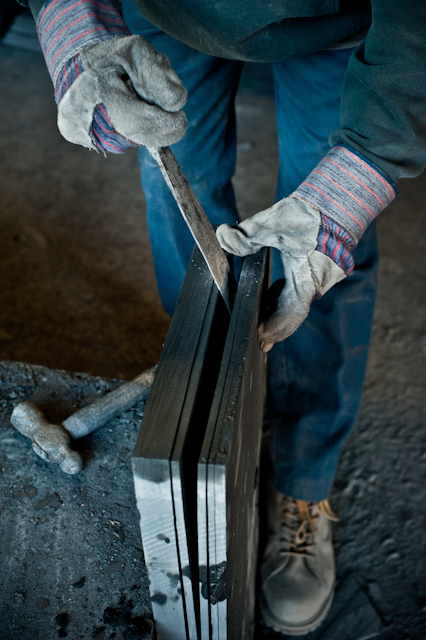 Machinery in fact cannot produce great slates, that comes from the highly skilled men who individually craft each slate by hand using the same basic tools as a century ago- hammer, chisel, foot rules, gauges and dividers. 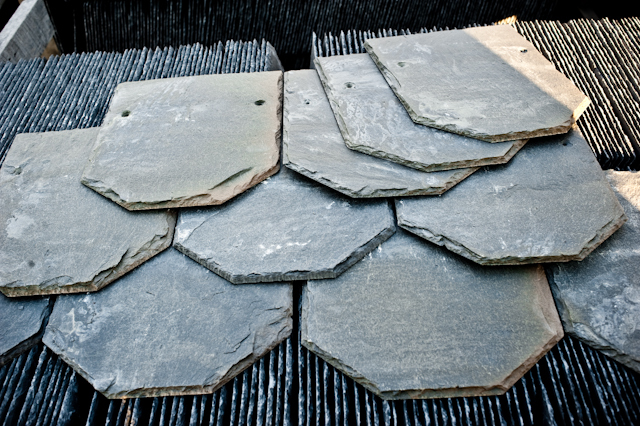 As each slate will have a different look and feel, each slate, being the product of natural cleavage, will also be slightly different in thickness, usually varying from 1/16” to 3/16” from slate to slate. 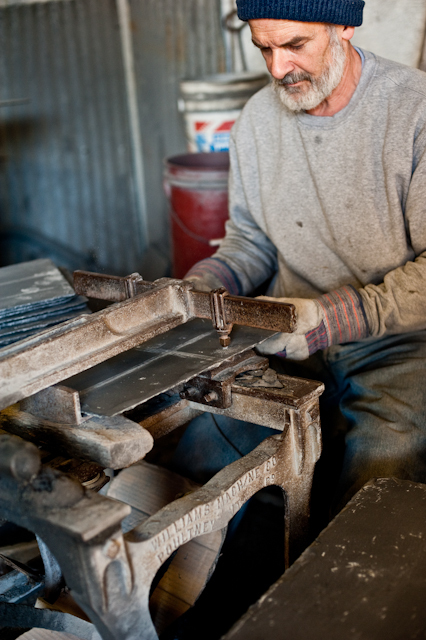 Because the process of making slates is done by hand, and involves each slate going through a line of skilled craftsmen- first the splitter, who splits the slate, then the stacker who prepares them for trimming, followed by trimmer and the puncher who punches or drills the holes for the nails which will hold the slates to the roof- there exist many points of quality control. For example, slates which are too thick or thin or have a knurl in the wrong place get culled and discarded before they ever leave our quarry. 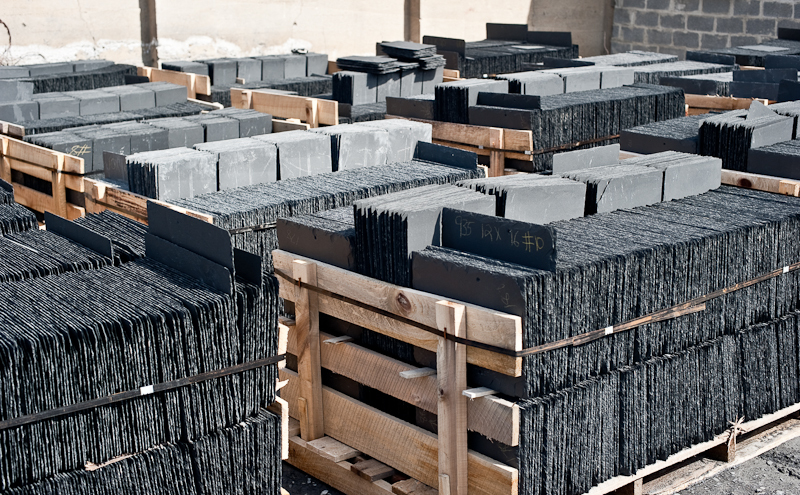 Your choice of quarry and supplier for roofing slates thus is not only a choice of color and price and the quality of an individual sample slate, but also the quality control and uniformity of the slates provided as a whole for a job, big or small. Our company has been making roofing slate since 1934. There are buildings in our area roofed in our local slate which have lasted over 150 years so far, all from the Pennsylvania big beds that we are named after. 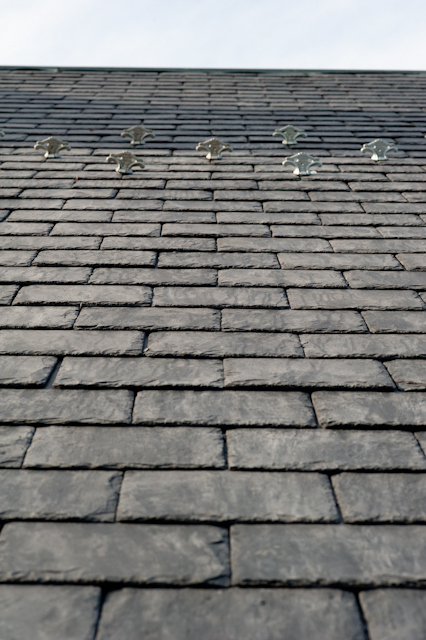 Pennsylvania slate roof shingles are some of the finest you can buy anywhere, and are always made from clear slate. 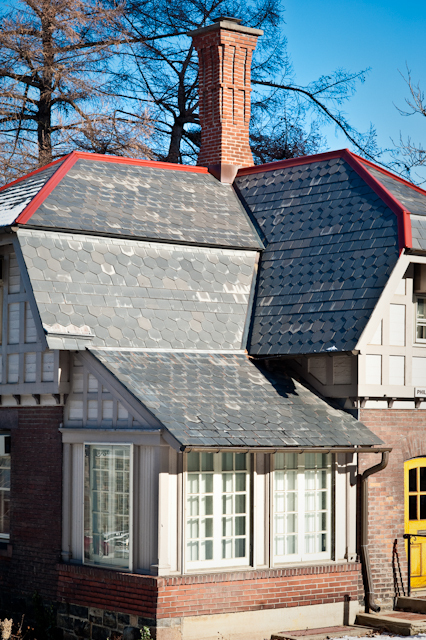 We offer a wide variety of slate sizes and shapes for roofing, including different thicknesses.